See the cutest celebrity couple moments on the ABS-CBN Ball 2018! Judy Ann Santos and Ryan Agoncillio have been married 9 years, and they still look at each other like this. JM de Guzman and Barbie Imperial. Better together. 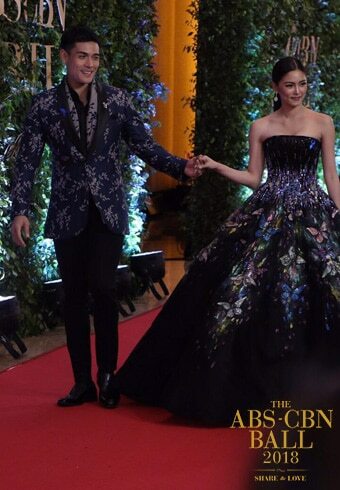 If you’ve been missing KimXi, then you know they didn’t disappoint with their red carpet appearance. Maris Racal only has eyes for her on-screen partner Inigo Pascual! The Hows of Kathryn Bernardo and Daniel Padilla looking this flawless. The KathNiel magic hit the red carpet! There’s no denying the beauty of Liza Soberano and Enrique Gil in this photo. “When will they get married?” couple Luis Manzano and Jessy Mendiola glowed together! James Reid and Nadine Lustre stood out with their unique outfits! 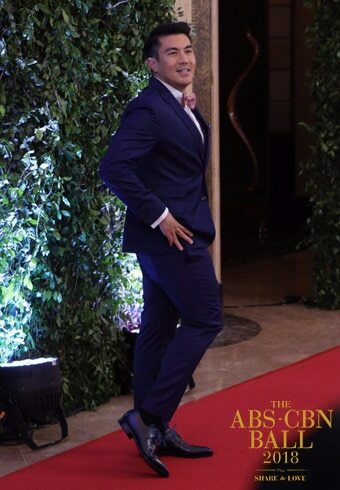 Luis Manzano hilariously imitates Jessy Mendiola’s red carpet pose! Anne Curtis puts her hubby, Erwan Heussaff at ease at the red carpet. Exes with friendship benefits Angelica Panganiban and Carlo Aquino were all smiles as they arrived for the ABS-CBN Ball. Is there a love truer than that of Robin Padilla and Mariel Rodriguez? Alex Gonzaga arrives with her man, Mikee Morada. JaDine slayed the red carpet together! 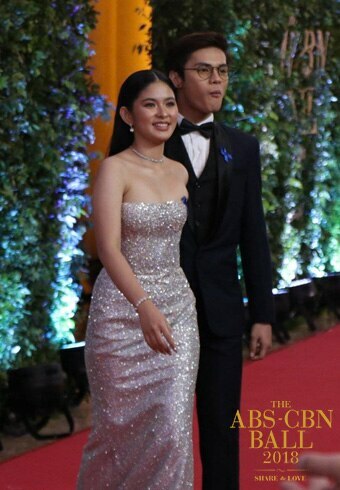 LoiNie was a picture of sophistication at the ABS-CBN Ball. 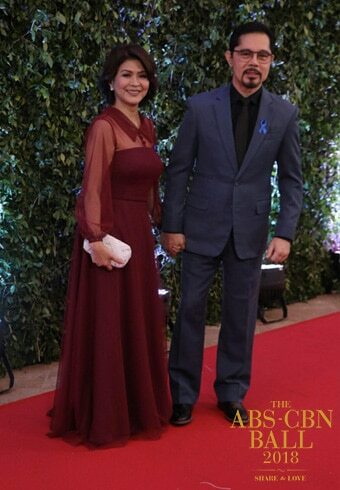 Speaking of long-lasting celebrity couples, Sandy Andolong and Christopher de Leon graced the red carpet! On-screen couple Loisa Andalio and Ronnie Alonte gave us all the kilig! Get you a man who looks at you like Gerald Anderson looks at Bea Alonzo. Donny Pangilinan surprises his lady, Kisses Delavin with a bouquet of flowers! 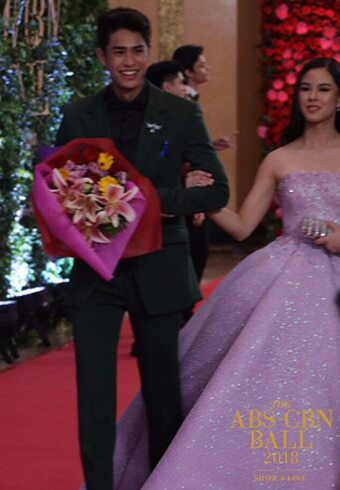 Leave it to DonKiss to look this great together. Maymay Entrata stares at her on-screen partner Edward Barber as they hit the red carpet. Richard Gutierrez and soon-to-be-wife Sarah Lahbati proved that having kids doesn’t make you slay any less. Now this is a true Hollywood moment! A small JuanBie moment amidst the red carpet chaos! Vivoree Esclito and Hashtag Charles Kieron got playful on the red carpet! 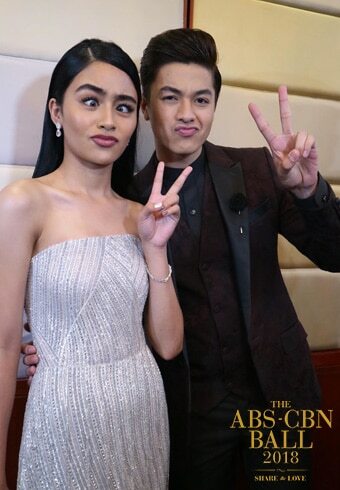 Our KierVi hearts! Edward held onto Maymay as they spoke to members of the press. At this point, we know you’ve seen all the formal photos of your favorite Kapamilya love teams and couples from the ABS-CBN Ball 2018 to scratch your kilig itch. But we also know that you can never have too much kilig in your life. In the gallery above, we’ve compiled the best candid moments from Kathryn Bernardo and Daniel Padilla, Liza Soberano and Enrique Gil, Loisa Andalio and Ronnie Alonte, Kisses Delavin and Donny Pangilinan, JM de Guzman and Barbie Imperial, Maymay Entrata and Edward Barber, McCoy de Leon and Elisse Joson, Maris Racal and Inigo Pascual, and more love teams, plus adorably PDA-y moments from the likes of Pia Wurtzbach and Marlon Stockinger and even Sandy Andolong and Christopher de Leon! Love was truly in the air at the ABS-CBN Ball so bask in it by browsing through the photos above! The ABS-CBN Ball 2018 was held for the benefit of the Bantay Bata 163 Children's Village and its relaunch. KathNiel, Bea, Angelica + more, naloka sa Wrecking Bowl!